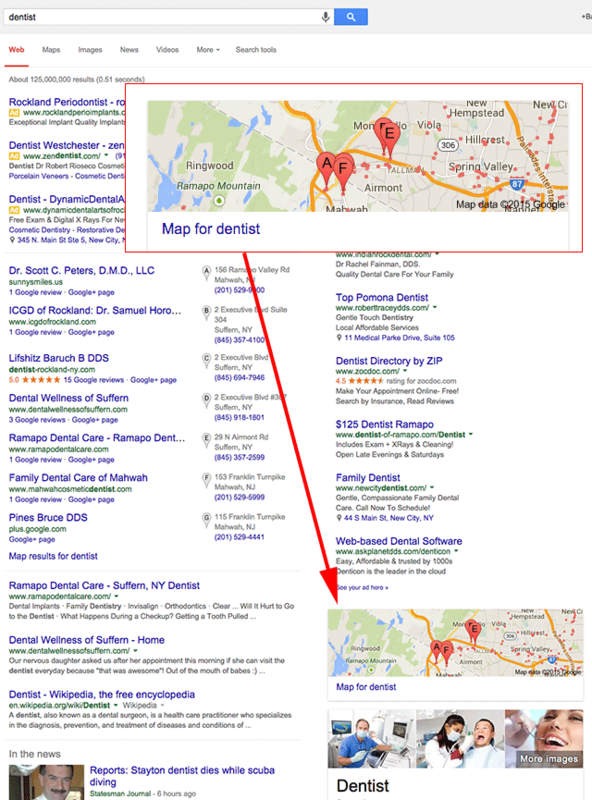 It seems like Google has moved the Google Map and local pack results below the fold when searching for local intent queries in the Google Search. Linda Buquet posted about it yesterday on her Local Search Forum asking if this was just a test because she is "concerned" with the change. Instead of the local results being available at the top of the search page, you now need to scroll past the ads at the top and on the right, as well as some other results to get to the local results. She said, she almost "had heart attach after 6 searches with no map." Adding that she "thought the local results were gone." But they were not gone, just pushed down - way down to the bottom of the page. Typically what you'd see is that the map on the right would follow you down the page as you scroll through the search results. Not anymore. I am able to replicate this for a whole set of local intent queries, can you? Of course, this can fundamentally change conversions around organic local search techniques.